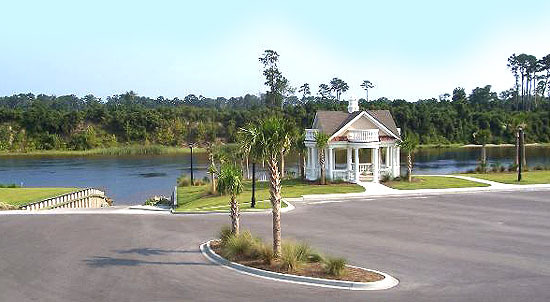 The Battery on the Waterway is a gated community located on Myrtle Beach's Intracoastal Waterway. 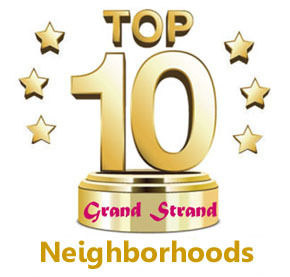 This very upscale community has 99 lots and is a unique Charleston-style neighborhood. All homes share a waterway view and every four waterfront estates share a four-slip boat dock. A rear alley entrance leads to the second row home sites, which overlook a lake for fishing, kayaking, and nature-watching. A biking/walking trail is just outside the gates that will take you over the bridge to the beach. The first homes were built around 2012, but there are newer homes right up till the present, as well as lots, both waterfront and water view - no time frame and no builders. Homes range from around $600,000 to $900,000 on the water, and as low as $300,000 for second row/view homes. Lots start at around $160,000. We are specialists in all Carolina Forest real estate. If you'd like to tour some of the magnificent homes in the Battery on the Waterway, call us and see what luxury is all about. Listing courtesy of Dargan Real Estate , The Neil Johnson Team. Listing courtesy of Watermark Real Estate Group , Radha Herring. Listing courtesy of CENTURY 21 Thomas , Scott Mathews. Listing courtesy of Ocean Bay Real Estate , Melissa Urso. Listing courtesy of Sands Realty Group Inc. , Andrea Jones.